When remodeling your kitchen, the choice you make for your countertops can greatly influence the overall appearance. If you are going for a certain style, such as modern or rustic, then it matters whether you use laminate, marble, quartz or other materials. Here is a look at which materials for kitchen countertops are most suitable for different styles. A modern kitchen typically features solid colors and very little patterning. This makes metal, plastic and laminate ideal for a modern kitchen. Neutral colors are also popular for modern kitchens, such as white, gray and black. A sold-colored countertop is also useful for creating a neutral backdrop if you have an exciting centerpiece, such as a bright red sink. The high contrast found in marble, quartz and granite is great for elegant kitchen countertops. Choosing patterns that include neutral colors and popping accents lets you tie together different elements in your kitchen. For example, metallic light fixtures and dark breakfast stools are softened and brought together by marbled countertops with metallic, dark and light colors. The fact that these materials are also expensive adds to their elegance. If you want a casual look for your kitchen, a tiled countertop might be the way to go. The simple lines of a tiled kitchen counter are a classic that anyone can feel comfortable around. Whether you plan on entertaining in an open concept kitchen or spending a lot of time cooking, tile countertops are a functional and aesthetically pleasing option. 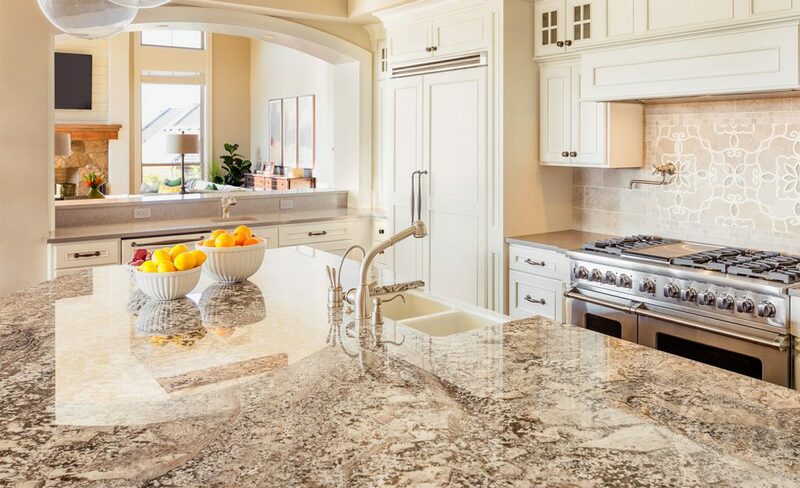 Choosing the right kitchen countertops comes down to the style you want. Whether you want a kitchen that is modern, elegant, casual or some combination of the three, the right countertop can go a long way. There are many options for color, pattern and material that it helps to have a professional on your side who can answer any questions.